Petals is offering franchises of its preschool, child care, teachers’ training, after school activities and K-12 school verticals. 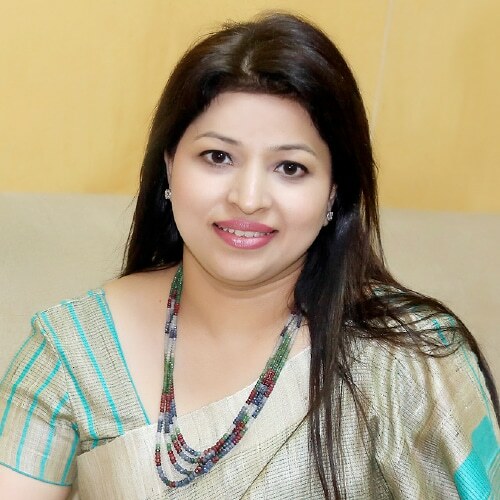 We are looking to setup 100+ schools over the next four years, says Preeti Kwatra, Director, Petals Group of Schools, in conversation with Elets News Network (ENN). How Petals Preschool is occupying a distinct place in the industry? Petals is an innovative, vibrant, creative and energetic organisation where each one of us strives through our practices to whole heartedly serve children and make every learning moment a joyful, effective and meaningful one. A combination of highly experienced corporate sales and supports team, highly qualified educationists and trainers, child centric curriculum along with high end technology and best business practices offers a huge competitive edge to Petals when compared to the other service providers. We are the most awarded and preferred preschool of Delhi where all the training and academic resources are provided by UK. How are you trying to expand the horizon of your chain of schools? Are you also exploring some possibilities in Ladakh? To expand its base throughout the nation, Petals is offering Franchises of its Preschool, Child Care, Teachers’ Training, After School Activities and K-12 School verticals. We are looking to setup 100+ schools over the next four years. The target market for a brand like Petals would be a market covering all towns and cities across the country with a basic business mindset. We have already signed one franchise in Ladakh which is going to be launched on coming 15th August. In this modern era of innovations, where early stage of education is garnering special attention of educators, what special methodologies have you adopted? Modern teaching style of kids also helps in various ways –cross-curricular connections, inquiry-based learning, emphasis on understanding of concepts, linking curriculum with life, emphasis on skill building, life skills and values, differential learning, and problem-based learning. The Smart Learning approach provides learners of all ages and walks of life with a framework and a host of Smart Thinking Tools that motivate higher levels of understanding. How would you narrate the significance of ‘smart’ classrooms and modern teaching style for kids? Technology benefited us in every aspect of our life right from communication to education. New methods of teaching have been introduced which is known as smart class. It uses instructional material, 3D animated modules and videos, and all the renowned schools are using this concept. The Smart Learning approach provides learners of all ages and walks of life with a framework and a host of Smart Thinking Tools that motivate higher levels of understanding. Through the process, learners activate and build background knowledge, process information, transform their learning into a product that shows what they know, and reflect on their learning. How much inclusive role do you see of parents in children’s initial stages of learning? Although a parent’s role in their children’s learning evolves as kids grow up, one thing remains constant: we are our children’s learning models. Our attitude about education can inspire theirs. In the early years, parents are their children’s first teachers. The first five years are particularly important for the development of the child’s brain, and the first three years are the most critical in shaping the child’s brain architecture.